In February this year, there was an ominous smoke signal from Brussels that Indian farmers could not have ignored. The European Union set aside a big chunk of its new seven-year budget to support agriculture, giving it €363 billion (Rs 25.9 lakh crore) of the total €960 billion (Rs 68.3 lakh crore). The 27-nation bloc that’s notorious for lavish subsidies to its farmers gave in to the demands from France and other major farming nations, earmarking 38 per cent of EU spending for this sector in the budget for 2014-2020, although other members had sought to divert funds to spur growth and create jobs. While the allocation is a reduction from the €417 earmarked in the current budget (2006-13), it means farm subsidies will still account for a whopping €50 million, or Rs 356 crore, every year. This has darkened the outlook for Indian farmers who could face new threats to their livelihood once India signs on a free trade agreement (FTA) with EU in coming weeks. As Brussels was finalising its contentious budget, back home Commerce and Industry Minister Anand Sharma was announcing that the EU FTA, which he termed India’s “most ambitious trade and investment agreement”, would be concluded shortly. Officially known as the Bilateral Trade and Investment Agreement, the EU-India FTA has been in the works since 2007, shrouded in secrecy as most such deals are. Hardly any consultations have been held with major interest groups barring industry that would be impacted by the deal. Periodic leaks of the texts being negotiated by commerce ministry officials and EU have heightened alarm over the implications of the FTA. The most sustained campaigns against the trade pact have come from public health activists, both in India and abroad, against certain provisions of the chapter on intellectual property (IP). Global protests have been sparked by concerns that the higher levels of IP protection sought by EU, that is more stringent than mandated by the World Trade Organisation’s Agreement on IP known as TRIPS, would lead to a clampdown on productions of generic medicines by India. These formulations, primarily, anti-retroviral drugs to treat AIDS patients, are used worldwide by developing countries and humanitarian organisations such as Medecins Sans Frontieres as a cheaper alternative to innovator drugs. However, EU negotiators maintain that the FTA would not affect the production of these generics. A more severe impact of the FTA, though, would be on India’s agricultural sector and on the livelihoods of some 600 million people who are dependent on it. Yet farmers have woken up only recently to the threats inherent in the proposed FTA. 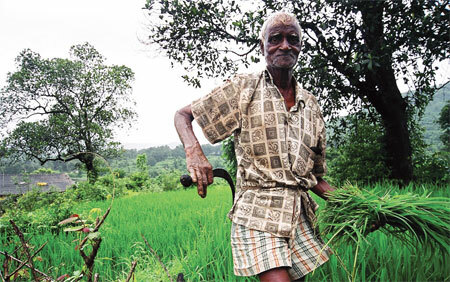 Among the more vocal of the farmers’ organisations has been the Bharatiya Kisan Union (BKU), the largest organisation of farmers in north India. “This FTA wants to bring India’s import tariffs down to zero or near zero levels on most of our agricultural commodities. How will this help our farmers? Studies have shown EU will be exporting much more to our country than India will ever be able to. In sum, this trade agreement will only increase India’s agricultural trade deficit,” warns Yudhvir Singh, general secretary of BKU. Are farmers being unnecessarily alarmist? Not so, as a number of studies have shown. An analysis by Misereor and Heinrich Boll Stiftung of Germany along with four other international institutions confirms that Indian farmers are set to lose heavily once the EU FTA comes into force. This will probably oblige India to eliminate more than 90 per cent of all (agricultural and non-agricultural) applied tariffs towards EU within seven years. “Moreover, a standstill clause might cap the tariffs even for the remaining sensitive products at the level currently applied,” and more worryingly, the goods chapter could impose discipline on export tariffs that are currently used by India to contain price volatility, it warns. Analysts point out that the primary problem of including agriculture in developed country FTAs is that of subsidies. A 2005 UNDP report warns that the main issue affecting agricultural trade, that is, the massive subsidies applied by developed countries to their production and export, “does not lend itself to bilateral solutions”. The EU-India FTA is a prime example of this. While EU is under no obligation to give up its subsidies, India will have to cut duties on more than 92 per cent of its goods, agricultural and industrial. What is relevant here is that EU’s tariffs are already much lower and so cannot offer India much additional market access. On the other hand, the high-quality standards imposed by EU, along with technical barriers which amount to non tariff barriers or NTBs, will make it impossible for Indian agriculture exports to penetrate the highly competitive European market. In what is turning out to be a lopsided agreement, EU also wants India to do away with its export measures which would imply that India has to give up export bans on food that it uses strategically to ensure food security. Ironically, at WTO India has fought hard to safeguard its right to use export measures and tariffs on agricultural products. One sector alive to the near impossibility of breaking into the EU market is the cooperative dairy farms. Gujarat Co-operative Milk Marketing Federation (GCMMF), India’s largest food products marketing organisation, has been writing repeatedly to Prime Minister Manmohan Singh and Anand Sharma about the vulnerability of the dairy sector. Better known by its Amul brand, GCMMF is worried that the one-way trade the FTA is likely to bring about will effectively kill the cooperative dairies, which are among the top providers of livelihood. 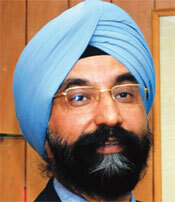 Rupinder Singh Sodhi, GCMMF managing director, told Down To Earth, EU is anticipating a huge market opportunity in India once the FTA is ratified and New Delhi needs to be cautious on this score. Dairy cooperatives generate employment for 15 million families in rural India across 140,000 villages. A significant threat to the growth of the dairy sector is EU’s push on geographical indications or GIs. This is a tag given to products whose quality, reputation or other characteristics are essentially attributable to its geographical origin, such as Champagne from the eponymous region of France, Scotch whiskey from Scotland and Parma ham of Italy. EU is strong on this IP right and has registered close to 3,000 GIs, primarily wines and agri-products, in the trade bloc. A 2010 study by the European Commission revealed that 2,768 GIs had yield revenues amounting to over €20 billion, an advantage it is pursing in trade agreements. EU is also seeking “extra extensive protection” of its GIs, according to Sodhi (see ‘Curdled outlook for dairies’). Unaccountably, the agriculture ministry headed by Sharad Pawar has not voiced concerns in public over the FTA despite repeated representations from civil society groups, farmers associations and trade unions. Nor has the commerce ministry or the Prime Minister’s Office assuaged the concerns raised by these outfits or sought to involve them in the consultations. K M Gopakumar of Third World Network, which focuses on trade agreements, points out that since texts of agreements are kept secret independent evaluation of the impact of such FTAs becomes extremely difficult. It is learned, however, that the commerce secretary has allowed a couple of civil society institutions to make a presentation of their analysis on the likely impact of the EU FTA. The Misereor-Heinrich Boll report, which has examined the FTA from the food security angle, finds that risks will increase with the passage of the Right to Food Act. India’s food requirement will increase significantly by the government’s own estimates to 61 million tonnes of grain, and “depending on imports for this will be foolhardy”, it warns. Besides, opening up to global agricultural trade will severely limit India’s capacity to procure food at will. According to a study by CEPII, an independent French research centre in the field of international economics, and CIREM, a non-profit which counts companies among its 23 members, the FTA is a no-win proposition for India. The CEPII-CIREM analysis shows India’s share in EU’s markets in primary products, cereals, other crops and products of animal origin will remain constant, while EU will increase its presence significantly in these segments (see charts). India has little to gain in agricultural trade in absolute terms as well, warns the report which has listed the asymmetries in trade projections for 2020: while EU will gain $321 million in agro food products, India will get just $83 million. 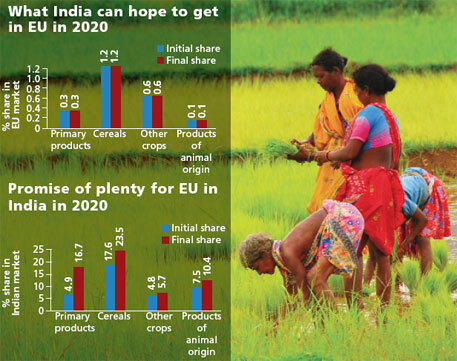 Similarly, India’s cereals market will earn EU $133 million, while India gains only $7 million. The disparity is most marked in primary products in which EU gains $5,128 million, while India gets business of just $39 million. So why then is India ready to conclude such an FTA? Commerce ministry sources indicate the trade-off is on the movement of skilled personnel into Europe that it hopes to wrest from EU. As for the impact on India’s vulnerable agriculture sector, officials say it has no strong champion in government. Amul is possibly the most valuable and well-known brand in the dairy sector and its owner, the Gujarat Cooperative Milk Marketing Federation (GCMMF), expects a turnover of well over Rs 14,500 crore for the financial year ending March 2013, a huge jump from the Rs 11,668 crore recorded in the previous year. But this is not bringing much cheer to the country’s pioneering milk cooperative. The reason: the impending free trade agreement with EU. Under WTO rules, India has been allowed to impose high bound duties (the maximum tariff) of 113 per cent on a number of food items, although its applied duties or actual tariffs stand at an average of 31.4 per cent. The bound rates give India the flexibility to increase duties if a spike in imports is found to be damaging its domestic sector through the special safeguard mechanism. What the FTA will do is to erode these protective measures that have been granted at the international level by getting the duties cut to negligible levels if not abolished altogether on most agricultural goods. Duties on import of cheese, for instance, range from 30 per cent to 36 per cent and the argument of the Indian dairy industry is that no further concession should be made on this item, which, it says, is consumed by the affluent segment and would, on the other hand, ruin domestic manufacturers. The bigger concern for GCMMF is EU’s insistence on recognition of its geographical indications (GIs) for food products. The 27-nation bloc is reported to have applied for over 130 GIs for its food products, many of them for special cheeses and has also sought recognition for the several thousand GIs registered in EU. 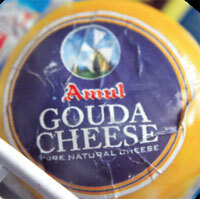 This will be a blow to Amul which has two manufacturing units turning out Gouda and Emmental cheese which draw their names and reputation from the regions of Europe in which they are produced and enjoy intellectual property protection in Europe. Not only would Amul have to cease production or change the names of its cheeses but it would also restrict the cooperative from exploiting a mark which is growing exponentially. This is a very commendable and exhaustive story about the India-EU free trade agreement that I have come across. It is very sad that the primary sector decision makers are keeping silent about the ill effects of FTA with EU. The automobile industries sector has already raised their voices demanding a level playing field. The primary production entities are still smarting under the corporate farming enhancing policy bias witnessed in the central budget 2013-14 and the recent announcement on partial decontrol of the sugar industries. The roadmaps for a slow and steady march towards corporate take -over of the agriculture and allied activities has been there since 2002-03. It is only getting clearly now and the defining moment was in FDI in multi-brand retailing. Any surprises that stubbornness of food price inflation did not make the policy shenanigans lose any sleep? The environmental damages will be exacerbated and India will become more vulnerable to many other arm-twisting agreements. Unfortunately at the legislature level too not many seems to be concerned either and that is indeed a serious cause of alarm.